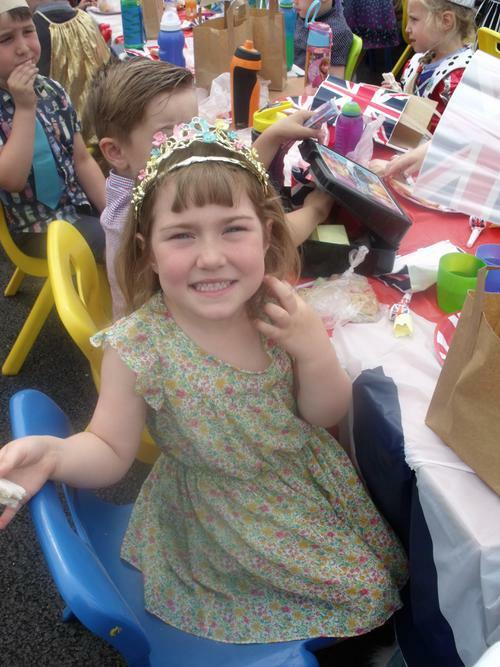 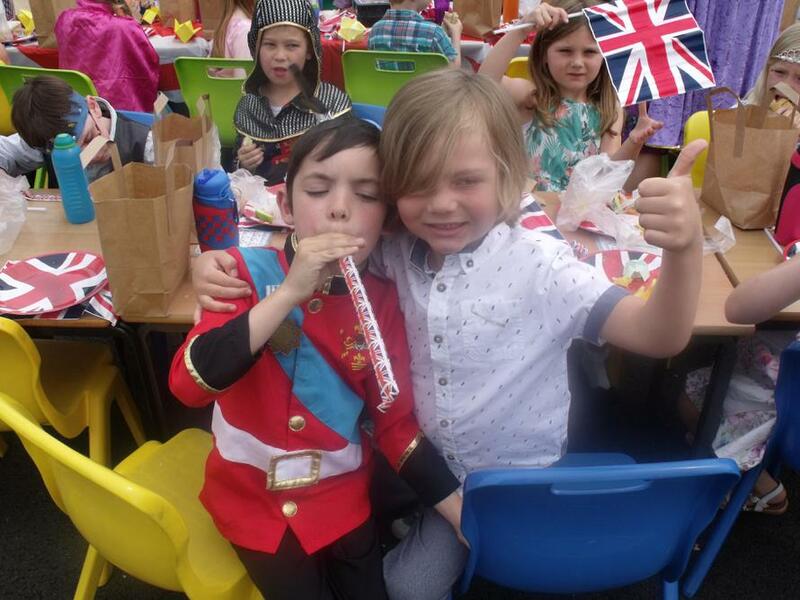 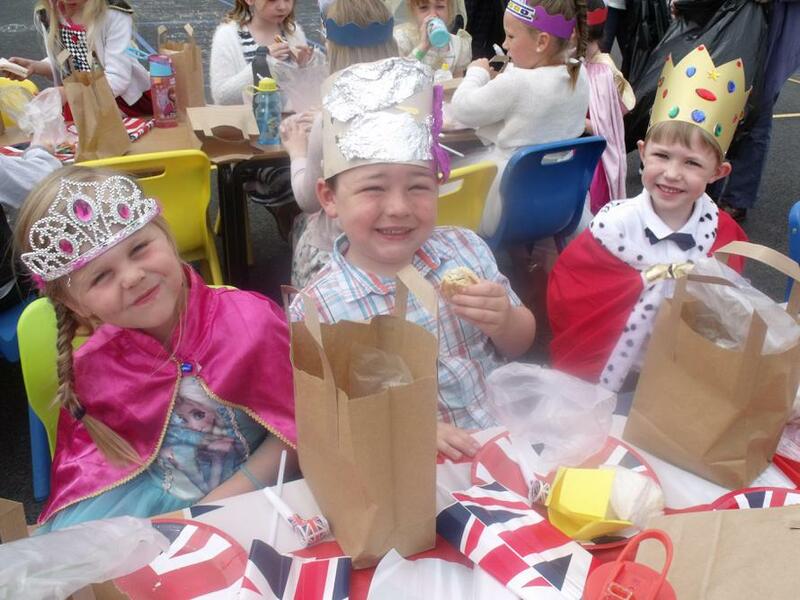 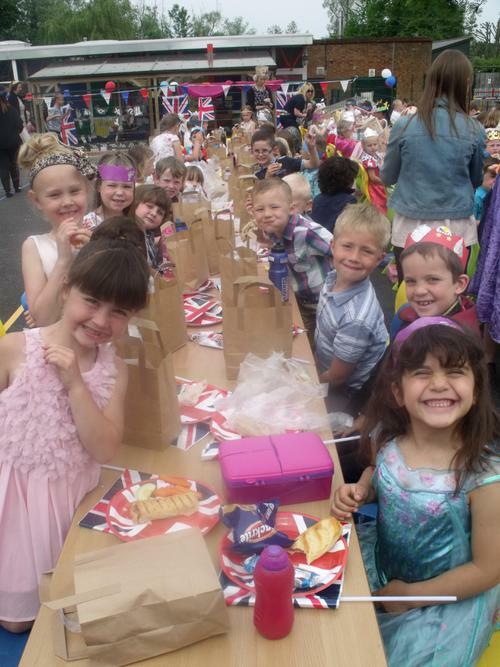 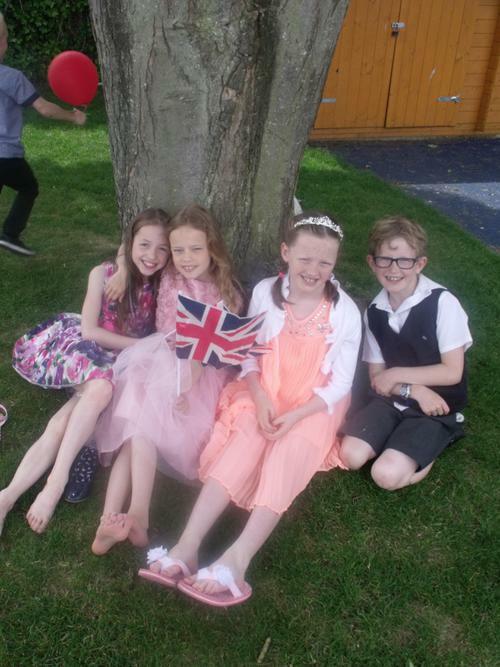 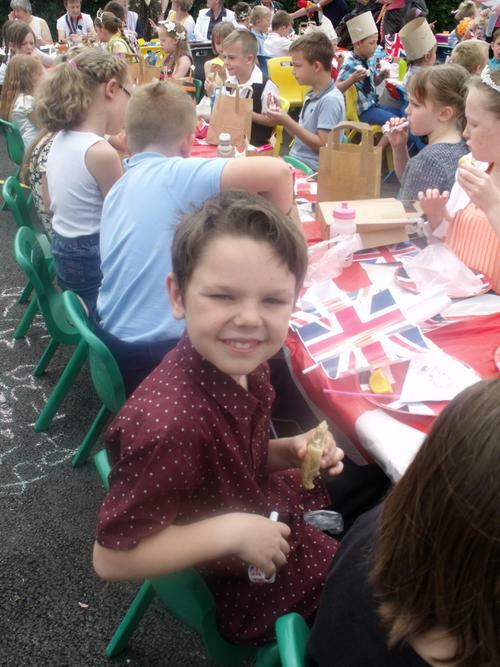 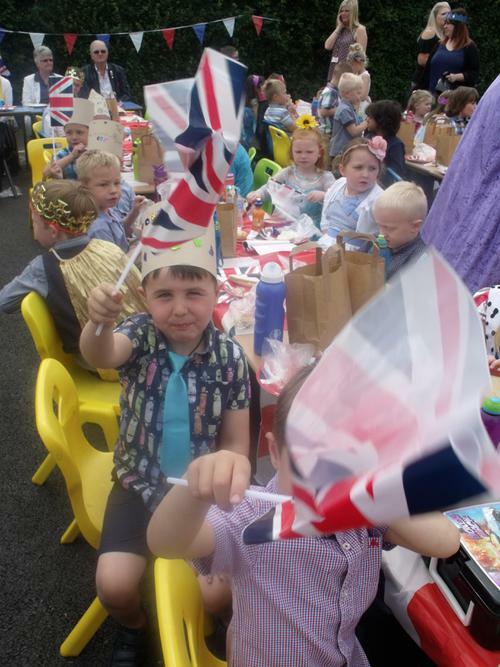 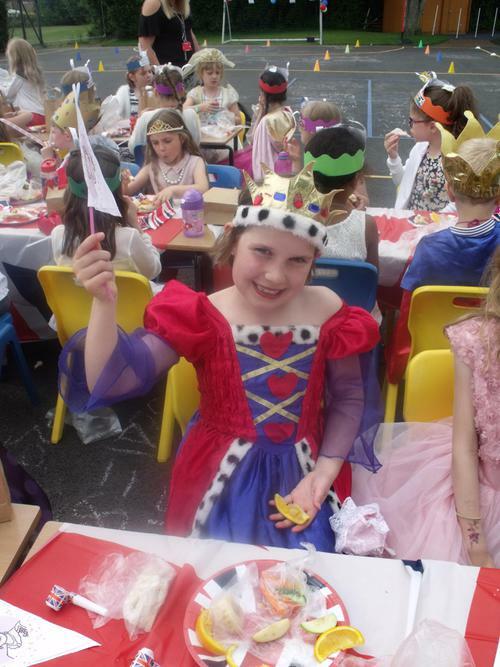 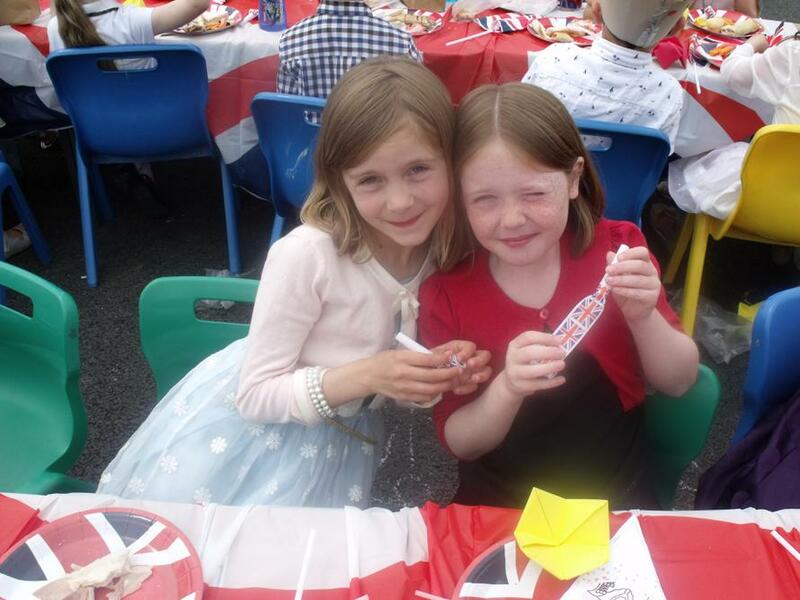 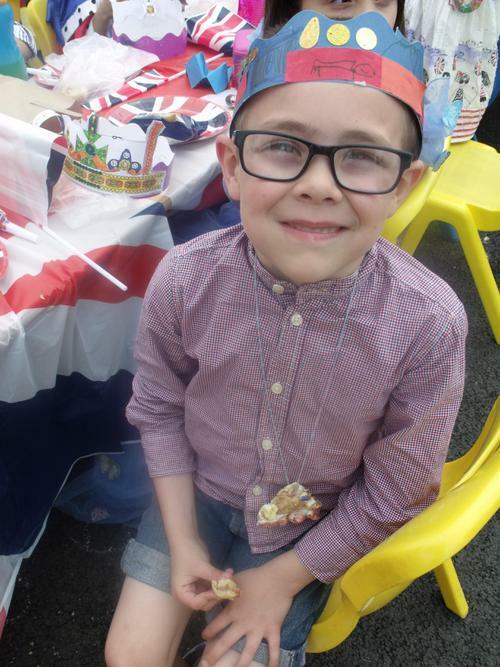 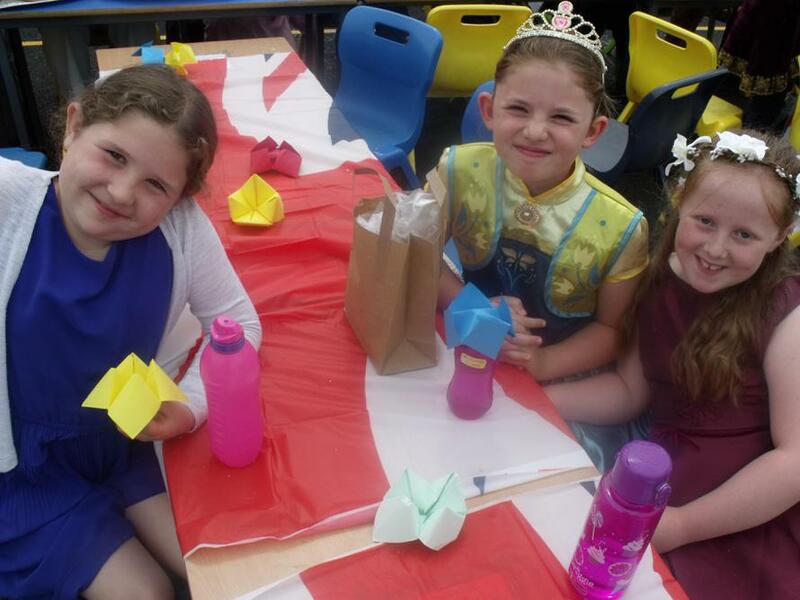 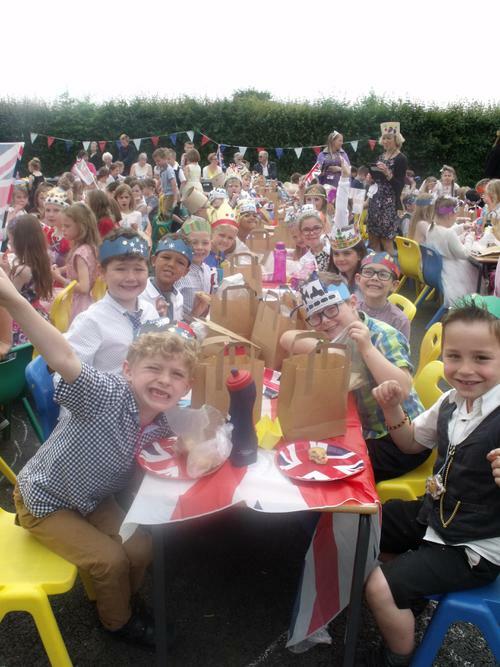 The whole school enjoyed a Street Party for the Queen's 90th Birthday. 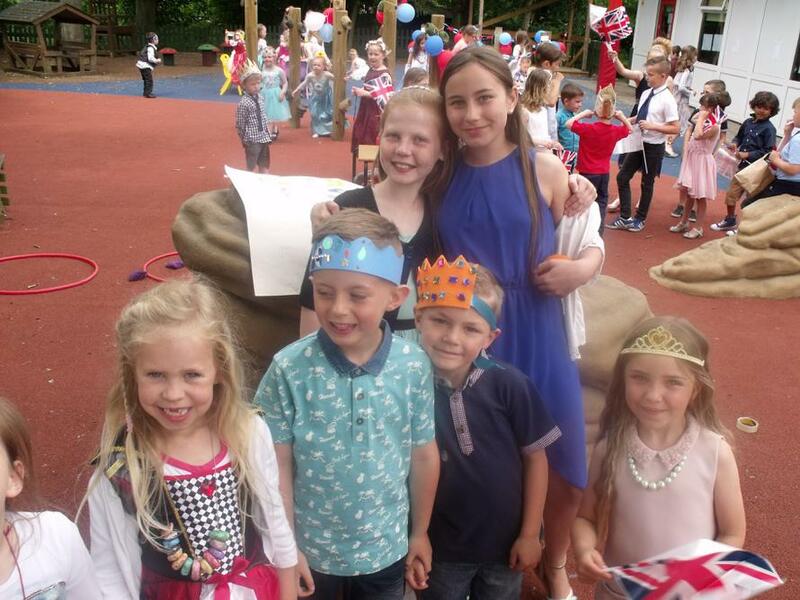 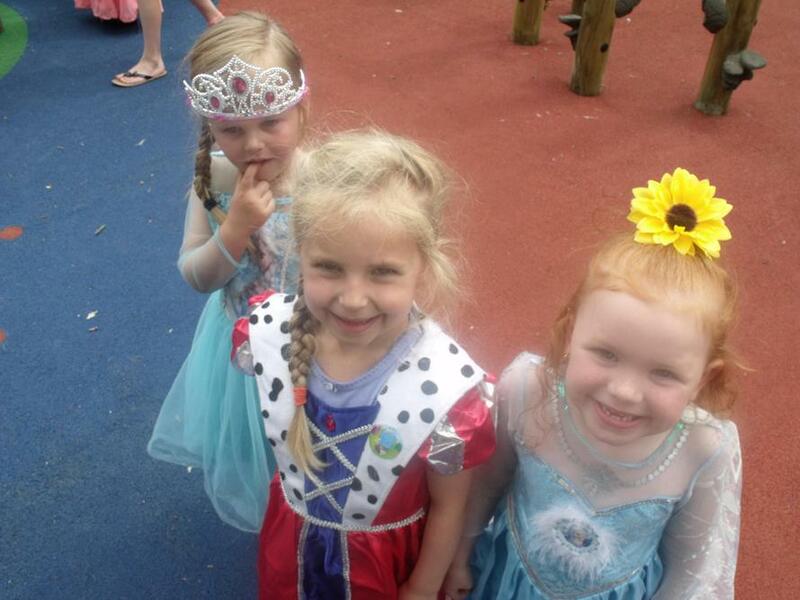 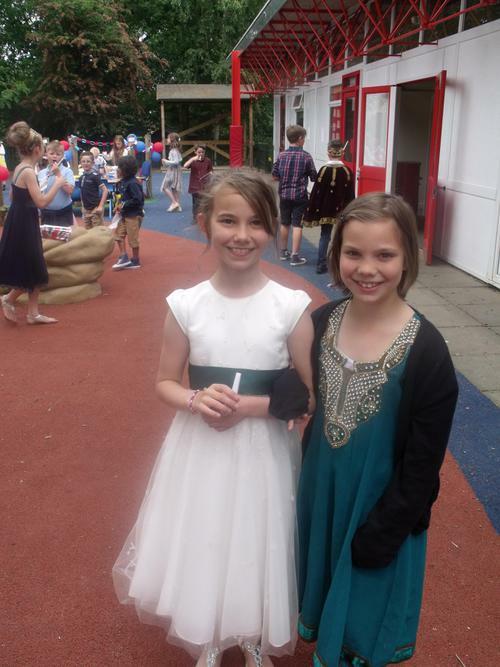 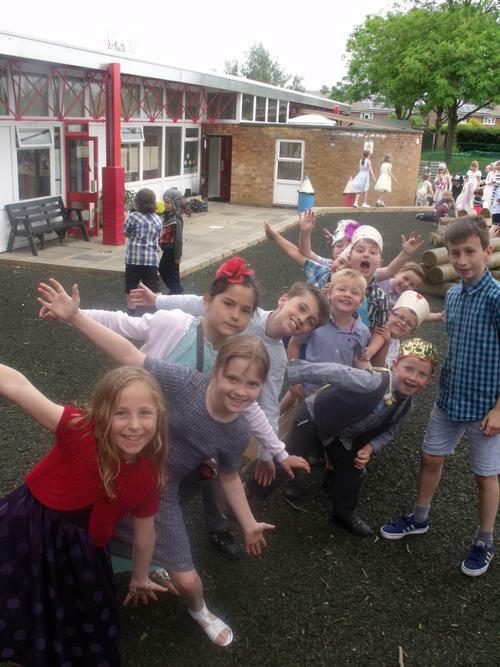 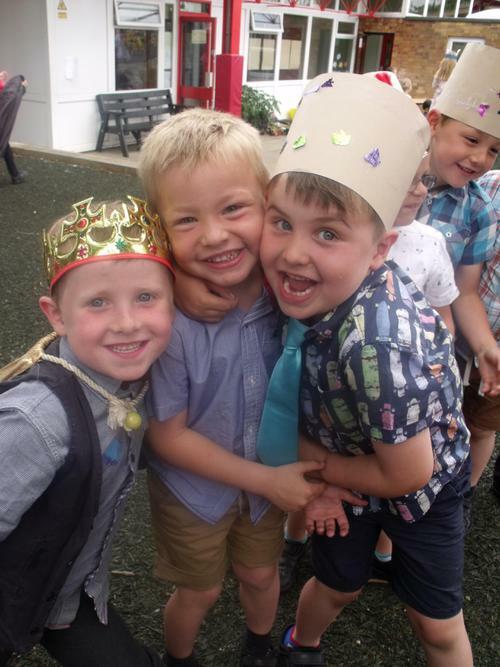 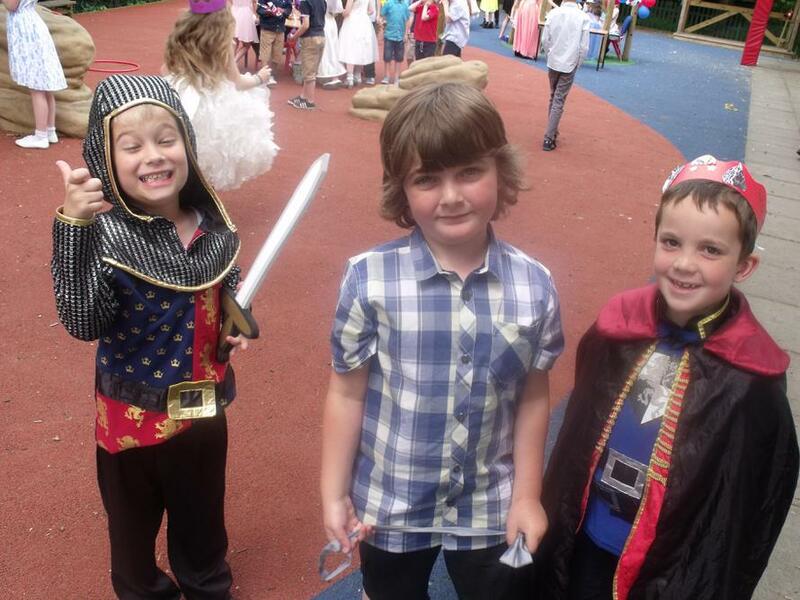 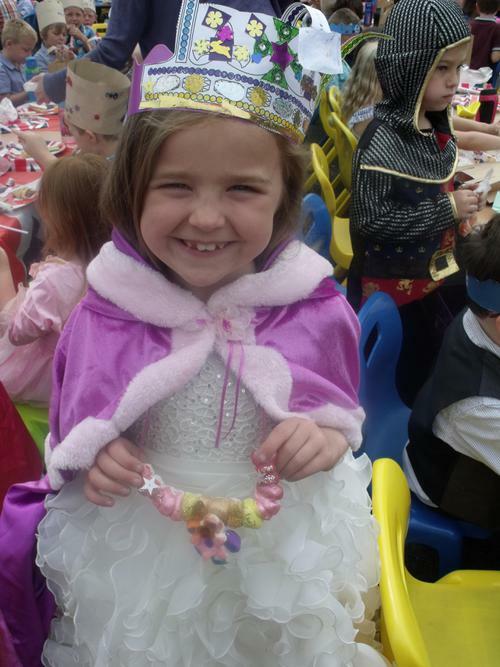 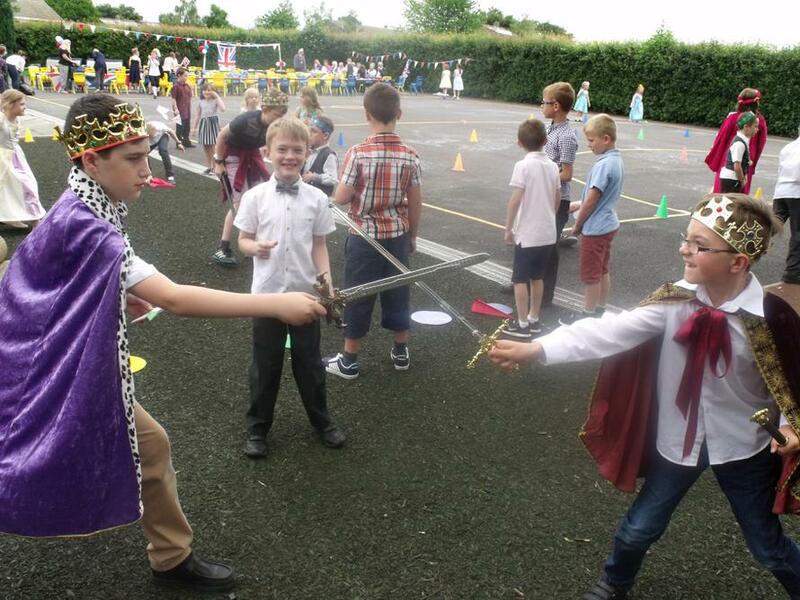 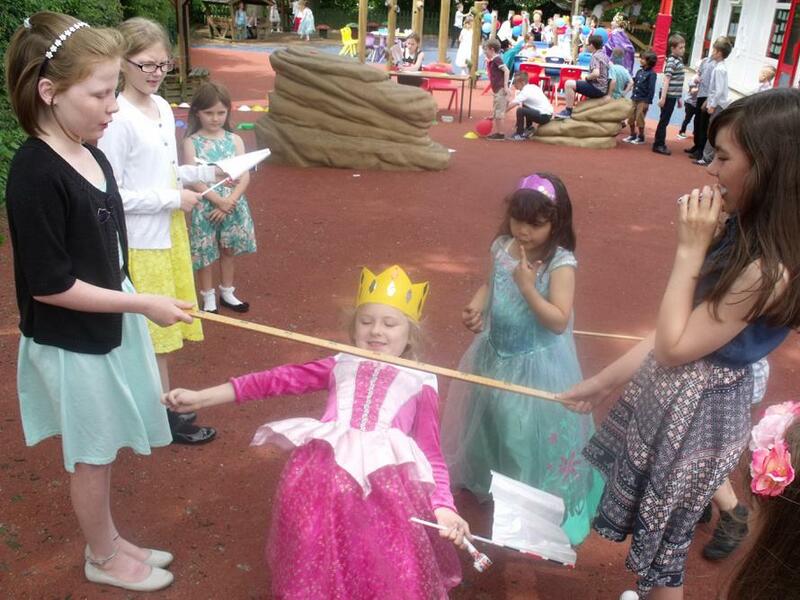 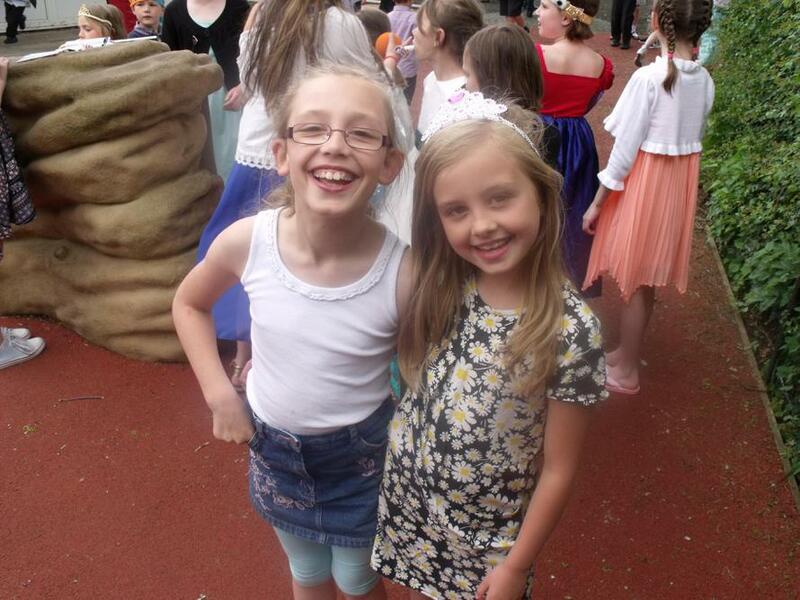 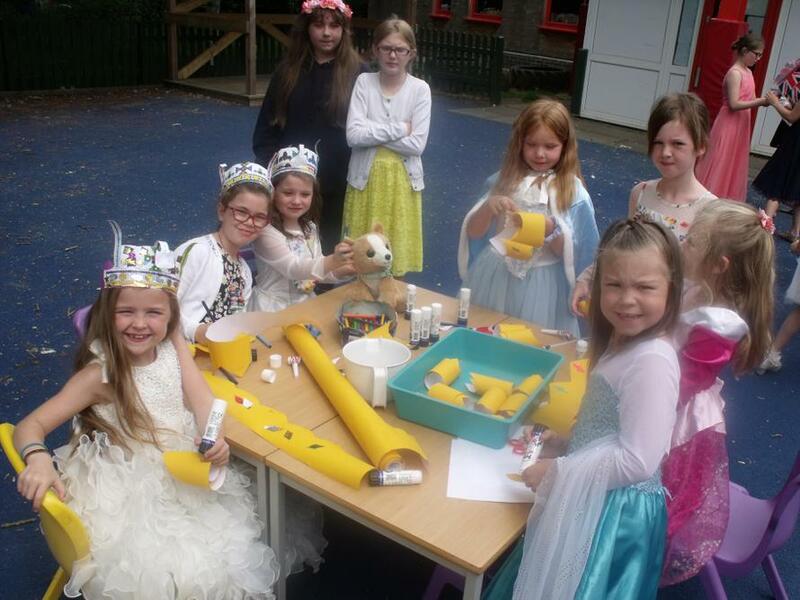 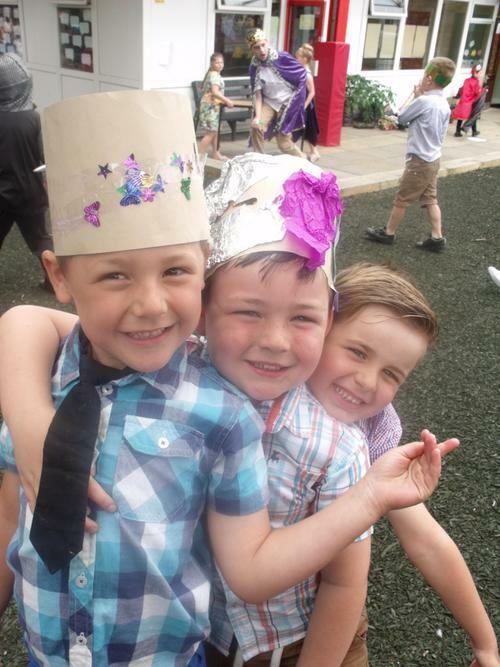 All of the children and staff dressed up as Kings and Queens or wore their best 'Garden Party' clothes. 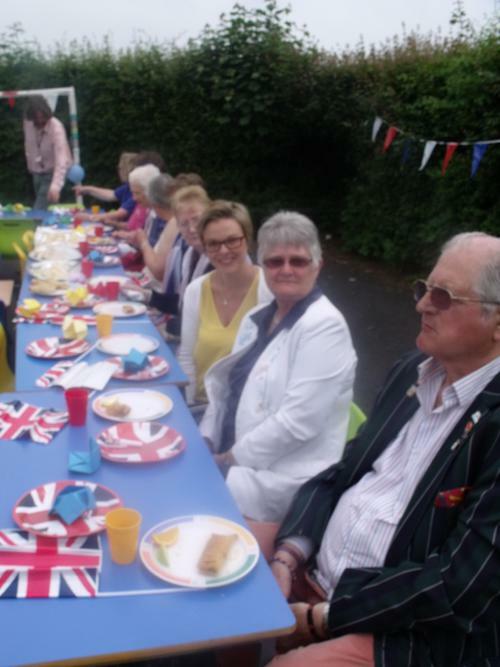 We were joined by Governors and ladies from our 'Prunes and Custard' Thursday lunch club. 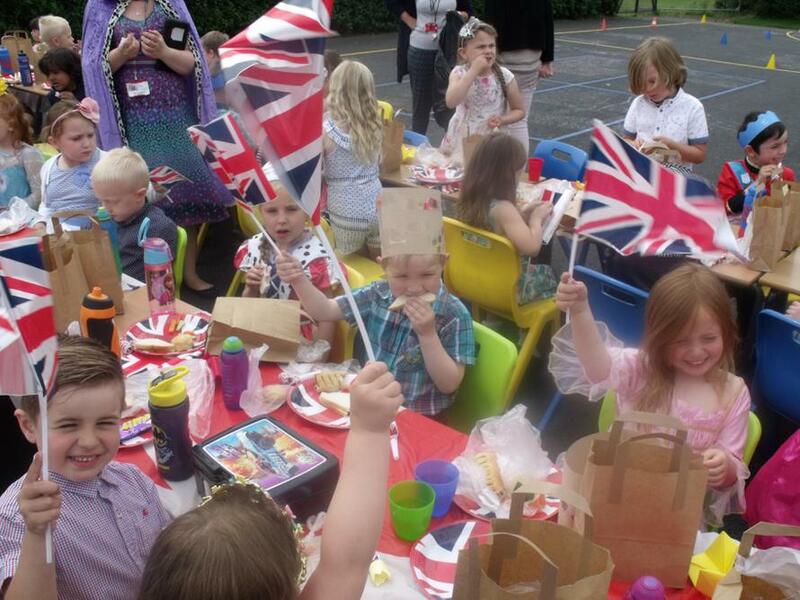 Flags were waved and the blowers were very popular! 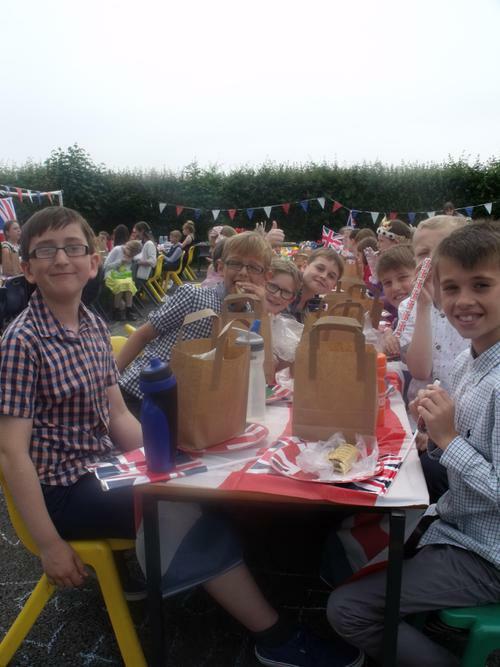 Everyone enjoyed a picnic lunch of sandwiches, sausage rolls and vegetable sticks followed by a jam and cream scone. 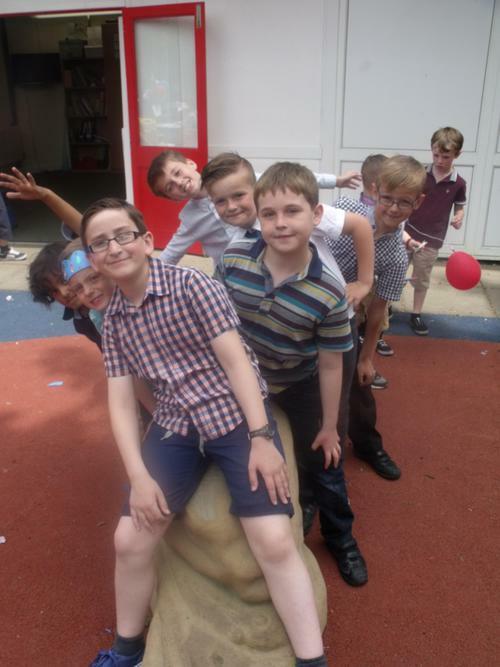 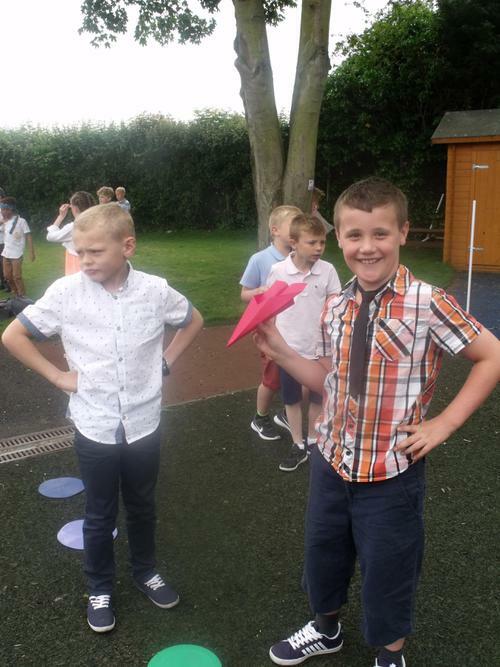 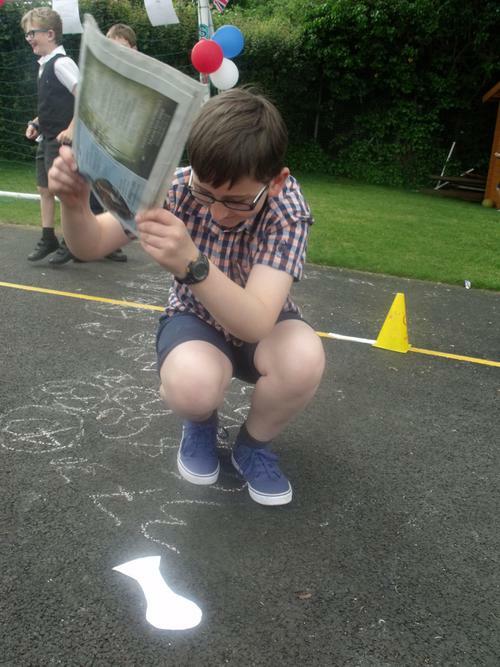 The children then played games which were organised and run by our Year 6 children. 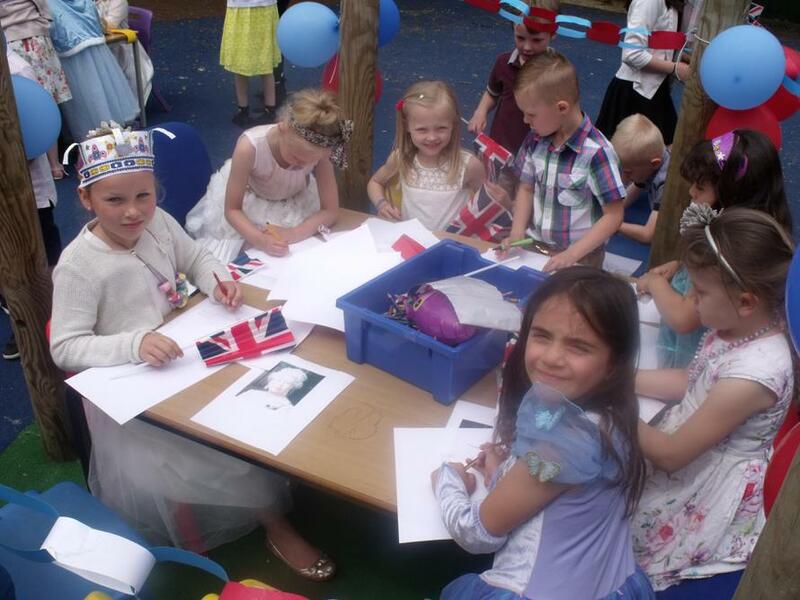 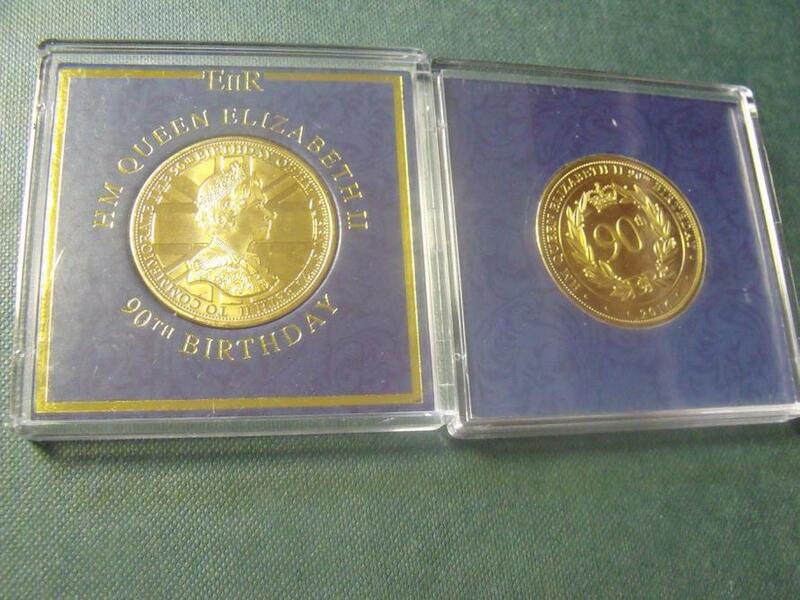 During assembly all of the children were presented with a Commemorative coin to celebrate the Queen's 90th Birthday. 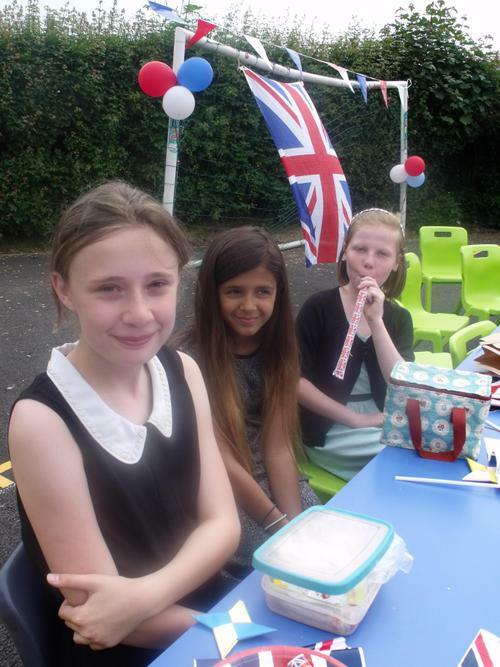 These were kindly provided by the Friends of the School.